From three-time Oscar nominee John Logan (Skyfall, Hugo, Gladiator) and Oscar winner Sam Mendes (American Beauty, Skyfall), "Penny Dreadful" is a frightening psychosexual drama that weaves together classic horror origin stories into a gripping series that is "moody, mystical and wonderfully twisted" (Cleveland Plain Dealer). 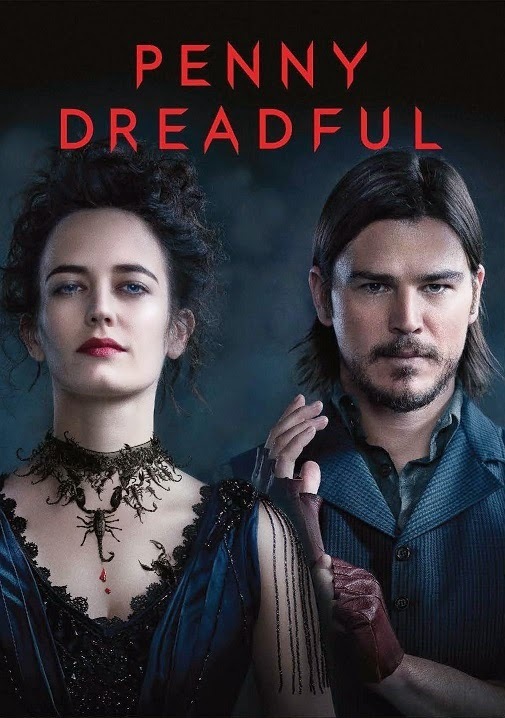 "Penny Dreadful," starring Josh Hartnett (Black Hawk Down), Timothy Dalton (The Living Daylights) and Eva Green (Casino Royale), completely reinvents literature's most famous characters. Icons of terror such as Victor Frankenstein, Dorian Gray and timeless figures from Dracula join a core of original characters in a dark and brutal quest to save a soul - even as they grapple with their own monstrous temptations. SAN DIEGO, Calif. (July 24, 2014) - The acclaimed SHOWTIME original series PENNY DREADFUL - SEASON ONE will arrive on Blu-ray Disc and DVD October 7, it was announced today during the PENNY DREADFUL panel at San Diego Comic-Con International 2014. From Showtime Networks, CBS Home Entertainment and Paramount Home Media Distribution, the Blu-ray and DVD collections will include every episode of the series' first season, celebrated by critics as "scary, seductive, surprising, and smart" (NPR) and "solidly entertaining, well cast and oozing with atmosphere" (Variety). Both Blu-ray and DVD collections also boast extensive special features that delve into the gripping thriller. The series also stars Reeve Carney (Spider-Man: Turn Off the Dark), Rory Kinnear (Skyfall), Billie Piper (Doctor Who, Secret Diary of a Call Girl), Danny Sapani (The Bill) and Harry Treadaway (The Lone Ranger). 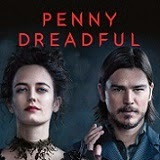 A co-production of Sky Atlantic, PENNY DREADFUL was created, written and executive produced by John Logan and executive produced by Logan's Desert Wolf Productions, along with Sam Mendes and Pippa Harris (Revolutionary Road, Call The Midwife), both of Neal Street.